Wohlers Associates, Inc., recently released the Wohlers Report 2016, the company’s annual detailed analysis of additive manufacturing (AM) and 3D printing worldwide. According to the Report, interest in 3D printing again reached an unprecedented level and exceeded $5.1 billion last year, as well as growing by $1 billion for the second consecutive year. Wohlers Associates is widely recognized as the leading consulting firm and foremost authority on additive manufacturing and 3D printing. This annual publication has served as the undisputed industry-leading report on the subject for more than two decades. Over its 21 years of publication, many (including me) have referred to the report as the “bible” of additive manufacturing (AM) and 3D printing—terms that are used interchangeably by the company and industry. I think it easily remains the most comprehensive resource on the topic and market. Lantek, a provider of sheet metal software systems announced the global 2016 release of its Lantek Factory concept and associated software products. The new version is targeted toward companies producing parts for sheet metal tubes and profiles. According to the company, the new release provides capabilities for customers to implement Industry 4.0 advanced and agile manufacturing processes. It’s the Industry 4.0 angle that makes this announcement really interesting. 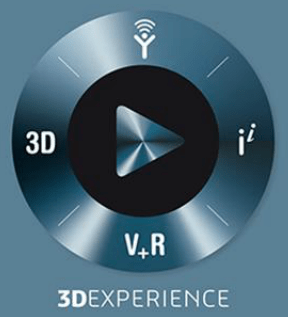 Will 3DPLM Become Newest Dassault Systemes’ Newest 3D Experience Compass Point? Last week, Dassault Systèmes announced that it had reached an agreement to acquire full ownership of 3DPLM Software Ltd. (3DPLM), its joint venture in India with Geometric Ltd.
3DPLM, formed in 2002 with Dassault, has a team of about 2,000 employees in India working on research and development and services related to Dassault Systèmes’ 3DEXPERIENCE platform and brand applications. In 2002, Geometric was a joint venture with Dassault Systèmes, 3D PLM Software Solutions Ltd. with an equity participation of 58% and 42% respectively. In other words, moving forward to last week, Dassault Systemes said it will acquire all of 3DPLM Software, an R&D company it owns jointly with Geometric, an Indian engineering services provider. The transaction means that the French PLM software group will be able to fully integrate 3DPLM into its operations, which center around its 3D Experience platform. This week MakerBot announced that it had sold more than 100,000 3D printers worldwide. The company said it was able to reach this milestone (as the first 3D printer company to do it) by providing an accessible, affordable, and easy-to-use 3D printing experience. MakerBot was one of the first companies to make 3D printing accessible and affordable. Since its founding in 2009, MakerBot has pushed 3D printing and has introduced many industry firsts. Thingiverse was the first platform where anyone could share 3D designs and launched even before MakerBot was founded. In 2009, MakerBot introduced its first 3D printer, the Cupcake CNC, at SXSW. In 2010, MakerBot became the first company to present a 3D printer at the Consumer Electronics Show (CES). Now, 3D printing is its own category at CES with a myriad of 3D printing companies from around the world in attendance each year.